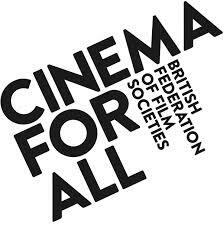 How exciting – we have learnt this afternoon that we’ve been shortlisted for a Best New Film Society award by the British Federation of Film Societies http://www.bffs.org.uk (of which we are a member), one of its several annual national awards, winner to be announced on Sunday 22 September at their annual conference at the British Film Institute. We’ve had such fun learning about developing our community cinema and are up against some very stiff competition on the award shortlist, so we are crossing everything! Thank you to everyone who has supported us in our first year, our FILMBOX patrons, members and sponsors – we hope that you’ll support us in our second year as we go fortnightly. Do become a member or just drop in now and again… we’d love to see you and share our passion for watching films TOGETHER on a BIG screen – it’s so much better and more fun than at home!